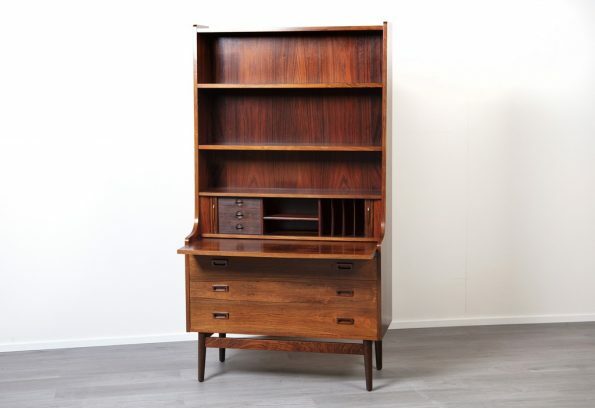 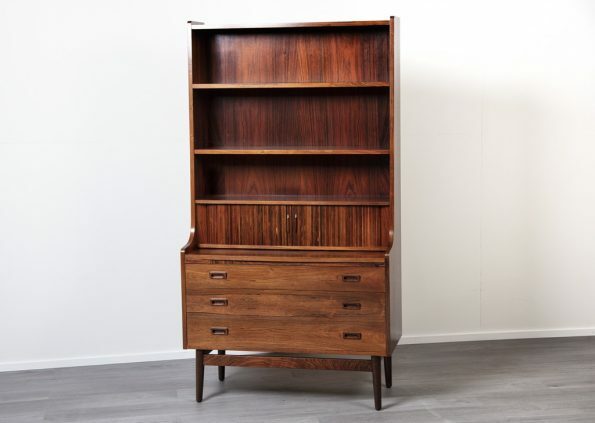 Danish 1960’s Brazilian Rosewood Bookshelf Bureau. 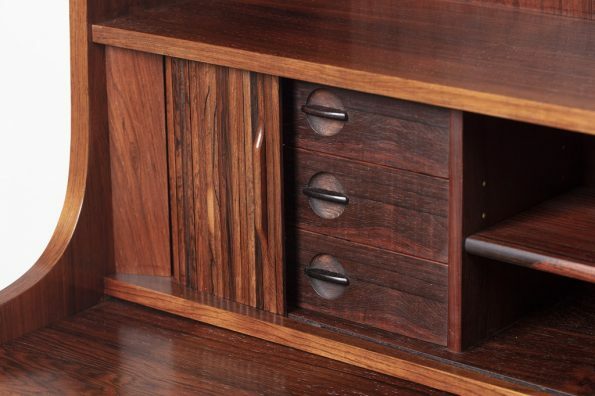 Designed by Johannes Sorth, Produced by Nexø Møbelfabrik. 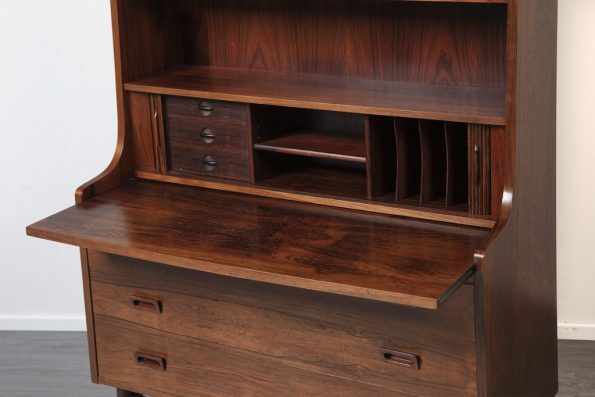 Pullout Secretary Desk with Tambour Door.